You’ll need a visa to get here! You may also need the information of where you’re staying and/or your onward transportation details. Those are just the basic requirements; for some types of visas – especially journalism or work visas – you need to provide more documents. The cost of a visa differs depending on where you are from, the type of visa you want to get, the processing time, and the number of entries. It’s best to check with your local consulate or embassy before you go to know the exact cost. Speaking from experience, any kind of visa costs $140 in the US. If you want to speed up the process and pick it up that same day, you can tack an extra $30 onto that. People from Japan, Singapore, and Brunei are free to travel in China for 15 days without a visa. Most other countries only need to pay $30 for one. In an effort to help more tourists visit the sights in Beijing and Shanghai, a new 72-hour visa has been instated as of this year for 45 nationalities free of charge. Want to teach? You should probably get a working visa. Tourist – This is the most common visa, as most people are just coming here for a visit. You can get tourist visas with stays of 30, 60, or 90 days. These visas can be single, double, or multiple entry, and they can be valid for 3, 6, or 12 months. There are even 10 year visas available now for Americans, Canadians, and Brits. These are also the easiest visas to obtain. While in China, you can extend your tourist visa twice for a month at a time (each month will cost you the full price of your original visa). **When applying for your visa at the consulate you will need to provide your travel plans. You will need either proof of a round trip flight plus proof of a hostel / hotel booking OR an invitation letter from someone already here saying that you are coming as their guest. If they are not Chinese it’s wise for them to include a copy of their residence registration, passport and visa. You can always cancel a hotel booking after you’ve provided the information to the consulate. Booking.com has free cancellations. Business – For this type of visa, it is required that you are participating in business activities here for at least 6 months. This includes training, lectures, and internships. In addition to the standard requirements, you’ll also need an invitation letter from the organization that you plan on doing business with. It should be noted that many foreigners often come here on a tourist visa and eventually have it converted to a business one. This is usually doable but it depends on the time and mood of the government. Student – To study here in an official institution, you will need this type of visa. You need to fill out one of these forms (JW201 or JW202) to go along with your application. Keep in mind, this visa is intended for those planning to study for more than 6 months here. If you will be here for less than that, you can just go with a business visa. Journalist – If your purpose of traveling to China is reporting, you will obviously have more loops to jump through getting your visa. There is a J1 visa for long-term visits and a J2 for short-term. Before you even apply, you need to obtain the necessary approval from Chinese media authorities. Crew – This is the type of visa you need if you are arriving in China as an employee of an airline or if you work on a ship. You will need a copy of an application letter from your company, as well as your Crew Card or Seaman’s Card. Work – These are the most complicated visas to get, and are necessary if you want to legally work here. First, your institution needs to be accredited to employ foreign workers. Second, there are some basic personal requirements; for example, you need a degree and relevant experience in order to be qualified as a “foreign expert.” When you go in to hand in your application, you’ll also need an Employment Permit and Visa Notification Letter from the company. Working visas are generally issued for one year and you usually need to get them in your home country, but it’s possible to convert tourist visas to working ones in places like Hong Kong. At first, your visa will just be valid for 30 days. Once you get to China, your company will work to get you a residence permit, at which time you’ll be set to stay for a year. After one year it is possible to extend it in China. **An update to the visa laws requires you to provide a criminal background check. You do not need a full FBI background check, just a simple check from your home state will suffice. Different states provide background checks in different ways. For example, in Tennessee, Rachel’s home state all you have to do is go online, put in your information and pay $29 and it will be sent to your email in a few days. In Michigan, Sasha’s home state, it’s as simple as going to your local police station. The document must be notarized. Some states issue already notarized documents. But some states do not which adds an extra step of finding a notary. So check and see how your state or country does background checks. 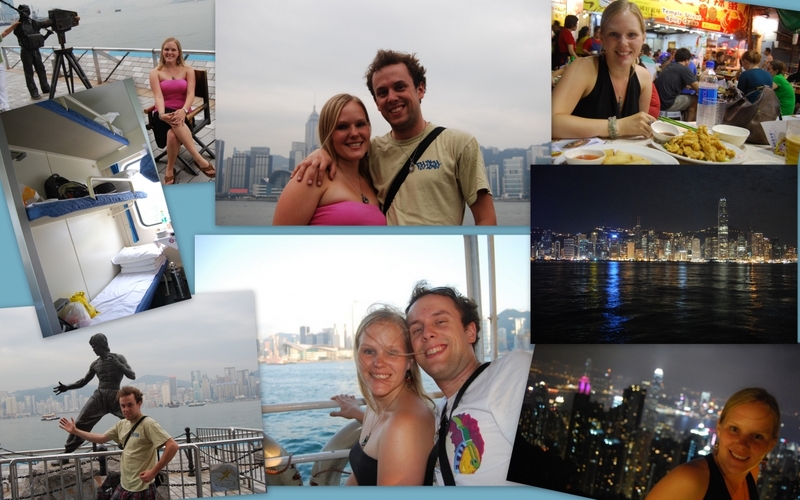 Hong Kong visa runs rock! As previously mentioned, your visa will be valid for anywhere from one month to a year (or even 10 now!). This means that you will have that amount of time to enter China. For example, if you get a tourist visa valid for one year on January 1st 2016, you will have until January 1st 2017 to enter the country. You will have a single, double, or multiple entry visa. A single entry visa means you can come into China once in the time that your visa is valid. With the others, you can come in twice or as many times as you want. Finally, there is the duration of your stay. This may be 30, 60, or 90 days, and it says how long you can stay in China at one time. To get the most bang for your buck, I recommend the multiple entry, 10-year, 90-day tourist visa. That way, you can basically live here for 90 days at a time, take a short trip to Hong Kong, Seoul, or somewhere else, and come back for another three months. If you decide you like it enough that you want to work full-time and not have to do visa runs, you can get your tourist visa changed to a working one. If that’s not for you, well at least you can come into China as you like for 10 whole years! Many people come to China on a tourist visa and end up doing some sort of work here. If you meet someone who has a part time job, teaches English, is a freelancer, or a handful of other jobs, chances are they are just working on a tourist visa. Technically, this is illegal and you can get deported and/or fined if the authorities find out. That being said, myself and many people I know have done this with no problems. Just be smart about it. Now that you’ve got your visa, what’s next? If you’re just traveling, we’ve got a great guide to many of the best destinations in China for you to peruse. 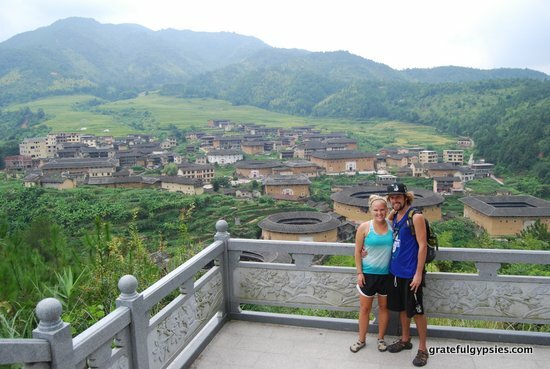 For those who are moving to the Middle Kingdom, head to our section about Living in China.